Robin Hood, and his band of merry men, will shortly arrive in Kilcock for the annual pantomime presented by KMDS. Yes, it's panto season everywhere, and KMDS are ready for their annual visit to Pantoland in Kilcock. Join the most heroic outlaw of them all as the arrow-shooting hero Robin Hood strives to win the hand of the beautiful Maid Marion while he and his trusty band of Merry Men outwit the evil Morticianna and Sheriff of Rottingham in a show full of action, adventure, music, laughter and audience participation. 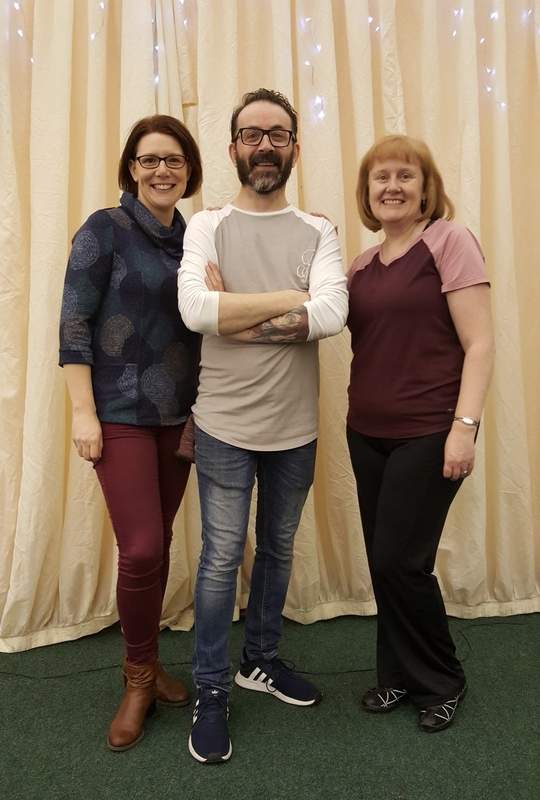 This year's pantomime, Robin Hood and the Sword of Destiny, will mark KMDS's 18th annual panto production, and their first at Kilcock GAA. Headed by the production team of Dominic Reid (Director), Fiona Shirran (Choreographer) and Mairead McKenna & Andrew Docherty (Musical Directors), the principal cast and chorus will take you on a magical adventure, perfect for all the family. The principal cast includes: Robin Hood - Jordan Bass, Maid Marion - Molly Martin, Aunt Polly - Andrew Docherty, Sheriff of Rottingham - Mick Amoruso, Weasel - Aaron Stone, Little John - Kenny Cribbin, Harry - Maria Fowler, Will - Adam Norris, Morticianna - Charlene Masterson, Fairy - Emma Tallon, Hawkeye - Mark Nolan, Friar Tuck - Chris Round and Merry Woman - Kate Docherty. The cast are supported by a junior chorus of 45 young girls and boys. So what are you waiting for? Grab your merry men and women and don’t miss the sheriff-busting, arrow-shooting, tights-wearing pantomime extravaganza! Robin Hood runs from January 9 to 13 at Kilcock GAA (Wednesday to Saturday evening performances at 8pm and Saturday and Sunday matinee performances at 3pm). Tickets: Box Office: 087 2475376. Local outlet: The Chocolate Box. All seats €15. Family and group rates available.